Ireland will take on South Africa, Australia and a leading European tier two nation in next year's November series at the Aviva Stadium.. The Irish face world number two side South Africa in the opening game on Saturday, 8 November. Georgia are likely to be Ireland's opponents a week later. Joe Schmidt's team finish against the Wallabies, who defeated Ireland 32-15 in impressive fashion in Dublin last month, on 22 November. 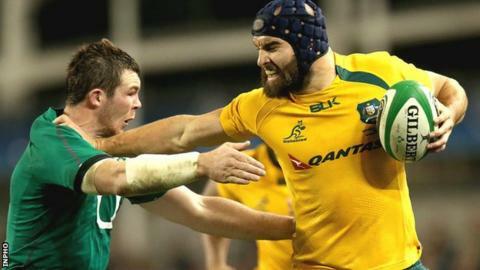 Ireland beat Samoa last month and were beaten by Australia before a last-gasp defeat against New Zealand. South Africa enjoyed a 16-12 win in their last meeting with the Irish at the Aviva Stadium last year. The Irish will be looking to record their fifth victory over the Springboks since the teams first met at the Balmoral Showgrounds in Belfast in 1906.